There always seems to be something in Microsoft Word we can’t figure out, right? Besides being a powerful word processing application, Word has a wide reach of capabilities in many other areas. However, wouldn’t it be nice to know the cool tricks that all the pros use? 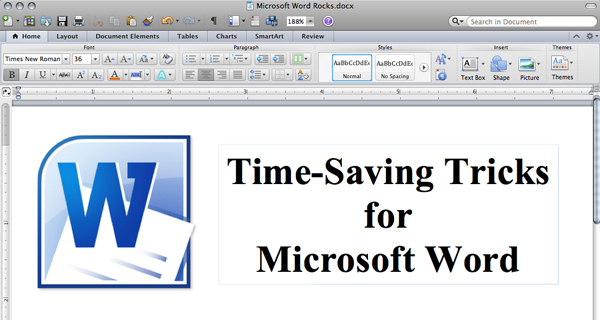 Here is a list of my top three time-saving tricks for Microsoft Word. 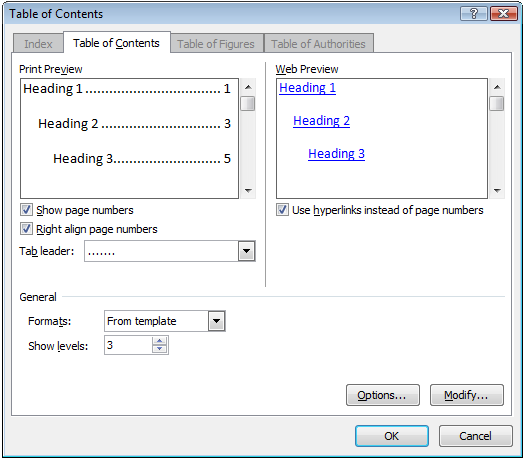 For longer documents that require a table of contents, you have two choices to build it. You can either manually create it at the end of your project, or use the built-in features of Word and have it done for you. Under the “References” tab, you can designate which paragraphs or lines of text you want to use for each level of your table of contents. Click on the “References” tab , then click “Table of Contents” > “Insert Table of Contents“ and the dialog pictured above will show up. Enter in your specifications, and Word will create your table of contents for you. In the event you update your text, the table of contents will also be updated. Any time you have a long list of contacts to reach, and a list prepared with each recipients’ information, you can connect the two and create an easy letter for all in minutes. 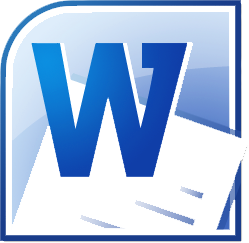 To get started in Word, use the “Mailings” tab, click “Start Mail Merge,” and choose the wizard to help walk you through the rest. Or, go to Tools > Mail Merge Manager (above). From there, you can follow the steps in the task pane on your screen. When the wizard asks you about your data source, point it to your existing contact list. By using placeholder fields in your letter, Word will substitute each placeholder with the actual values in your data source. Mail merge is a huge time savor and one of my favorite tools Word has to offer. If you notice yourself typing the same phrase of text repeatedly, there’s a faster way to handle how you can create the text. 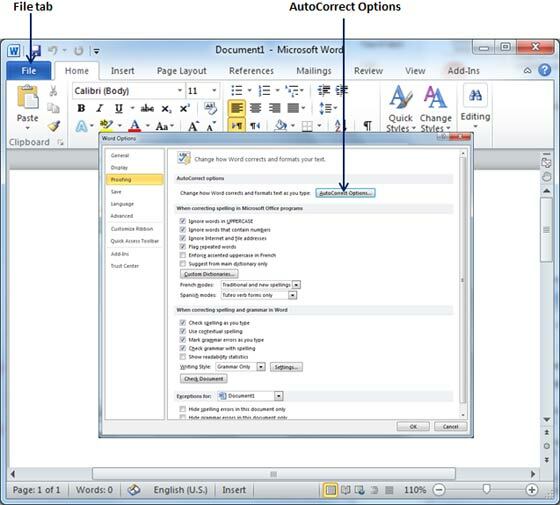 In Word, there is a fantastic feature called Auto Correct, which can fix misspelled words, common grammatical errors, or it can recognize a portion of a phrase and finish the rest for you. A great example of using Auto Correct would be your name. Any time I want to insert my full name, I start type my first name and, when I type the space after, Word finishes the rest for me. To set this up, you can go to your “Review” tab, then choose “Spelling and Grammar,” and then click “AutoCorrect Options.” Or go to File > Options > Proofing > Word Options > Autocorrect Options (above). In the event that you decide you don’t want the Auto Correct option to override what you typed, a SmartTag will pop up and you can click that to have options as needed. Reach Stu Crair at (970) 980-8091 or stu@ fcdigitalworkshop.com.